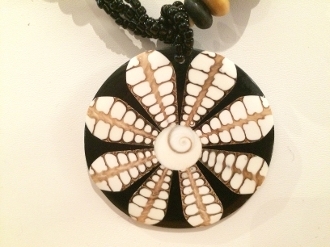 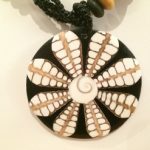 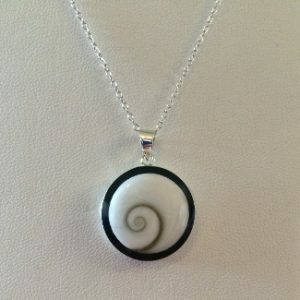 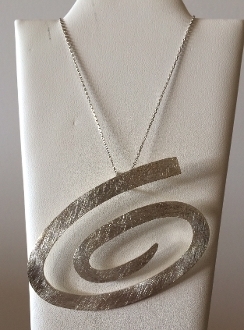 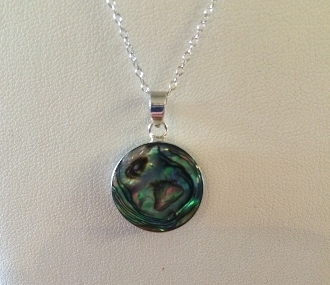 This necklace features the side-cut sections of the Cone shell set in resin and a cochlea shaped shell set in the center. 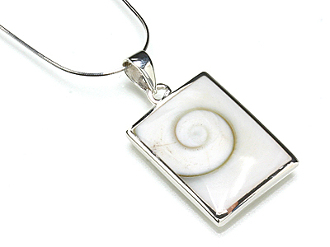 This necklace features the side-cut sections of the Cone shell set in resin and a cochlea shaped shell set in the center. 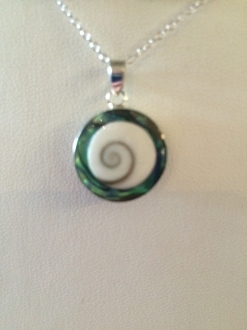 The shells are then taken to a high gloss polish to reveal their beatiful natural spider web pattern. 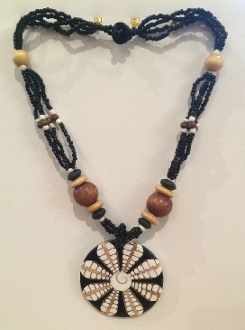 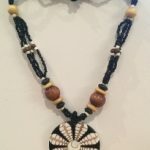 The pendant is matched with a weave of attractive black and white seed beads to create this beautiful handmade necklace.